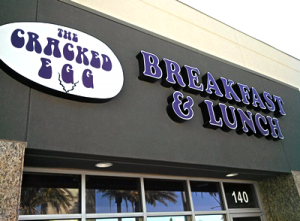 We are a locally owned and operated breakfast and lunch restaurant with 5 locations in the Las Vegas area. Established in 2002 we are already a locals’ favorite. 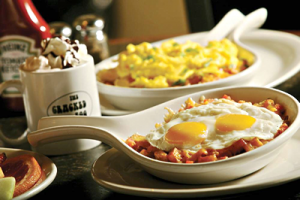 Come on in and try our Specialty Breakfasts ranging form Scrambles, Skillets, Omelettes and even Eggs Benedict. Our lunch menu is a great mix of home made Soups, Salads , Sandwiches and Burgers. If you like sweets, then this is the place for you. We are known for our homemade Coffee Cake as well as many varieties of Pancakes and French Toast. City search 2009 top rated restaurant for breakfast 5 out of 5 stars! We are open from 6:00am – 2:00pm Monday – Friday and 6:00am – 3:00pm Saturday & Sunday. We offer a non-smoking family environment with patio seating as well.